Ryan is such an awesome young man. He’s a super laid back, killer wrestler with a heart of gold. Even though Ryan and I just “met” earlier this year at church, I’ve actually known Ryan most of his life. I used to take care of him in our church nursery when I was in high school and he was a little kid, haha! But Ryan is not a little kid anymore, he’s graduating high school in 2015 and almost an adult. Time flies! I am really falling more and more in love with Downtown West Palm Beach lately. 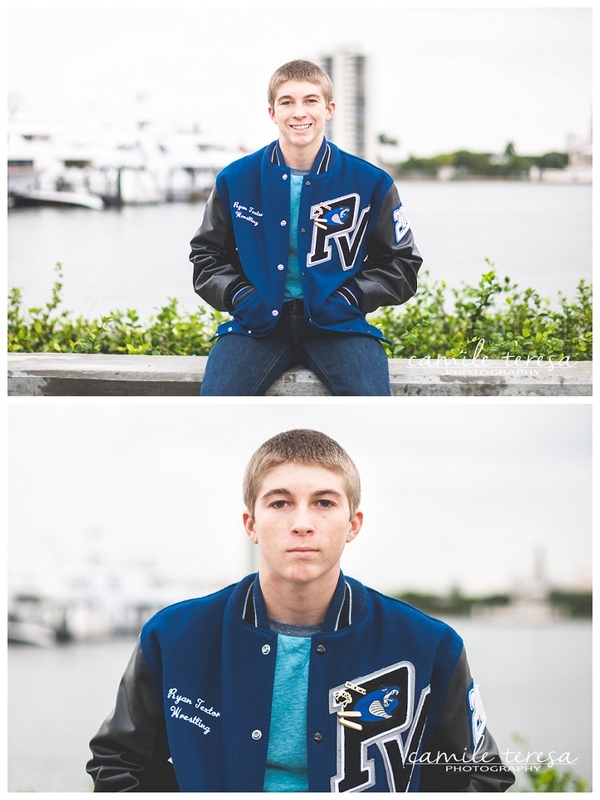 We started our session near the water, which provided a great backdrop for some simple portraits. 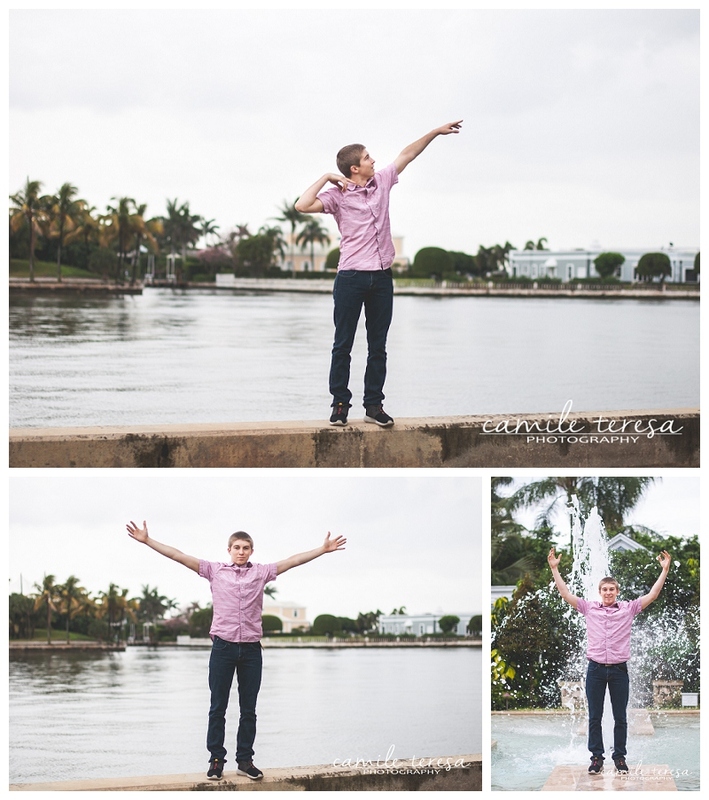 Downtown West Palm has so many little hidden, beautiful spots, and Ryan was game for trying out several of them. We walked and drove around, stopping whenever we found a gem. I still can’t quite believe how grown up Ryan looks in these next few. Soon he will be graduating and starting his adult life. It makes me feel a little old! 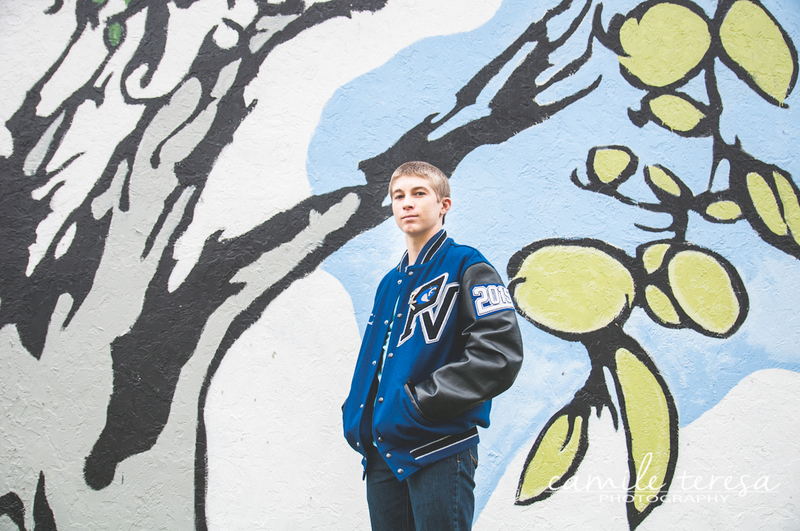 You want to know why I love being a senior portrait photographer? Because teenagers are up for anything, literally. When I told Ryan to go climb this wall, he didn’t even bat an eye. He just got on up there and let me take these amazing shots of him. And when I told him to stand in the middle of the road (don’t worry, we had a lookout– thanks, JD! ), he ran right in. For the last part of our session, I wanted a more urban feel. Ryan’s varsity wrestling jacket is such a cool personal item of his, and I really wanted to show it off. This art wall was a totally awesome space to do that in. 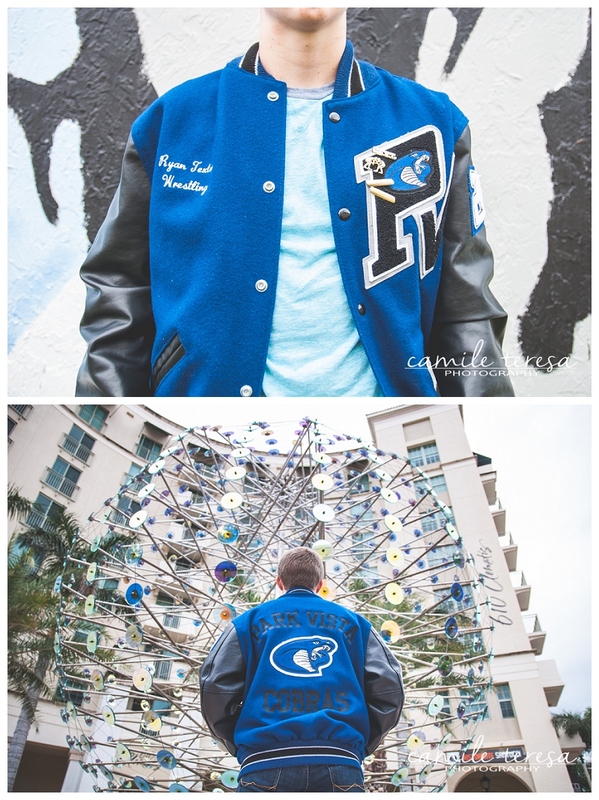 Thank you, Ryan, for allowing me to capture your senior portraits! I can’t wait to see what the future holds for you! 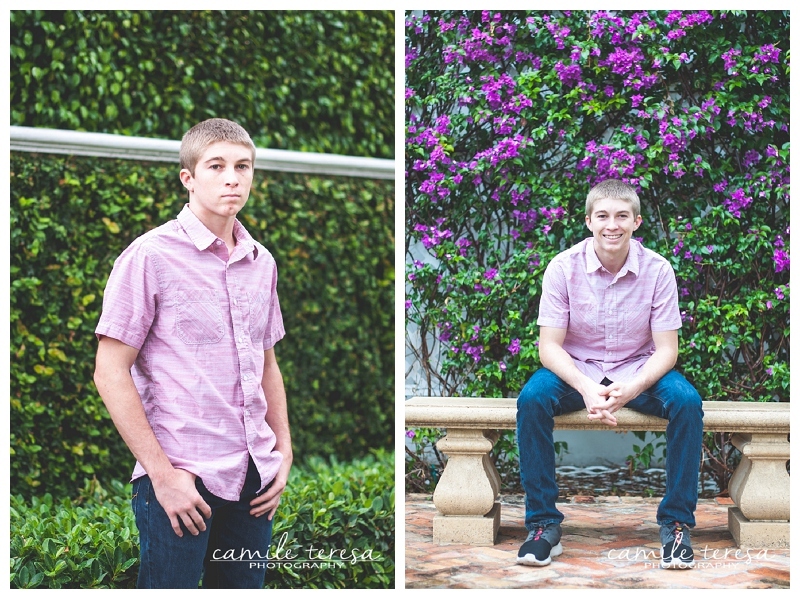 Camile Teresa Photography is now booking seniors of the class of 2015. Contact me today to begin planning a senior session that reflects YOU and your personality. I promise, we’ll have WAY more fun that those stuffy yearbook photos! Book by May 31st and get $50 off your session. Are you in the class of 2014? It isn’t too late to take your senior portraits. Contact me for last-minute specials.